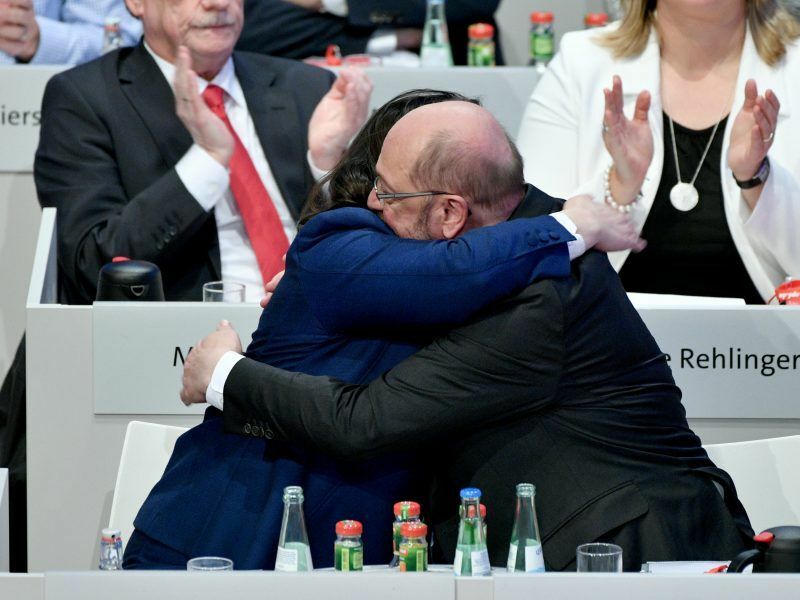 German Chancellor and Chairwoman of the Christian Democratic Union (CDU), Angela Merkel and the leader of the Social Democratic Party (SPD), Martin Schulz shake hands after a joint press conference after exploratory talks in Berlin, Germany, 12 January 2018. “In principle, it’s done,” said one of the sources, adding 15 lead negotiators were still meeting. The agreement will lift much of the uncertainty that has weakened Germany’s role in international affairs and raised questions about how long Merkel will stay in her job. 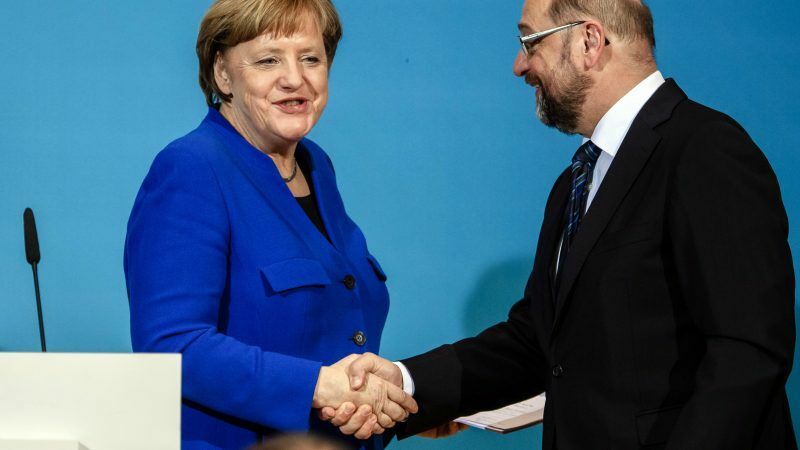 However, any deal is subject to approval by the SPD’s 464,000 members in a postal ballot before their party can move ahead and join another coalition with Merkel, after serving as her junior partner from 2013. News of a deal will bring some relief to investors and partner countries, who had been concerned by Merkel’s failure to cobble together a government for more than four months at a time when Europe is facing multiple challenges – including the need for eurozone reform and Britain’s departure from the EU. Senior European Union officials welcomed the agreement in Berlin, calling the long-awaited announcement a boost for the EU as a whole. A negotiating source said the SPD would get the foreign, finance and labour ministries under the deal. Mass-selling daily Bild reported that Merkel’s Christian Democrats (CDU) would get the economy and defence ministries and her Bavarian ally Horst Seehofer would become interior minister. The conservative bloc and the SPD began talks about renewing their alliance after Merkel’s coalition talks with two smaller parties collapsed last November. Both camps face waning support. An Insa poll on Monday showed support for the SPD dropping to 17%, below its election result of 20.5%. The conservatives slipped to 30.5%, suggesting there would be no majority for a grand coalition if an election were held now. The SPD initially vowed to rebuild in opposition before changing course and negotiating with Merkel, a U-turn that has divided the party, with its youth wing particularly vocal in opposition to another ‘grand coalition’. 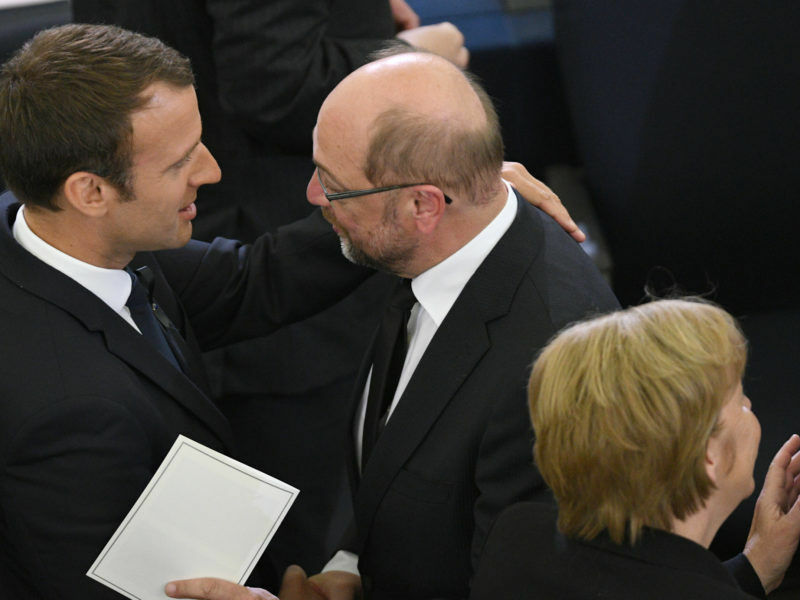 The two blocs had aimed to strike a deal on Sunday, but extended that deadline as they grappled with reforms to health insurance reform and employment policy demanded by the SPD, which promised members it would negotiate until the conservatives squealed. SPD negotiator Carsten Schneider said during the final stretch of talks that the agreement was “no masterpiece”. 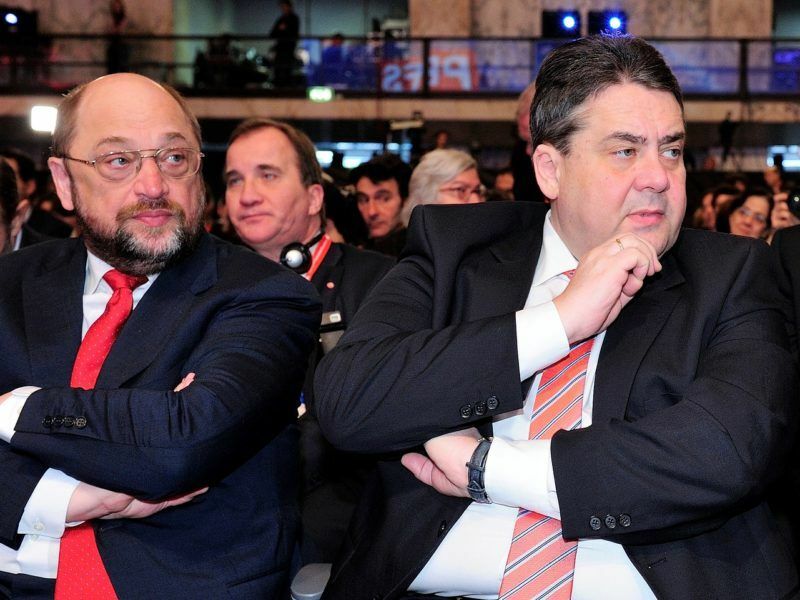 SPD delegates voted only narrowly last month to begin formal coalition talks with Merkel’s conservatives. Germany could face a new election or an unprecedented minority government if SPD members vote down the final coalition deal.